We support all sizes of clients across various industries. Here’s what they think of us. What They Do: NG Bailey is a family-owned business with a proud heritage and a proven track record of achievement. These strengths have spearheaded the elevation of our business into the largest independent engineering, construction and services company in the UK. 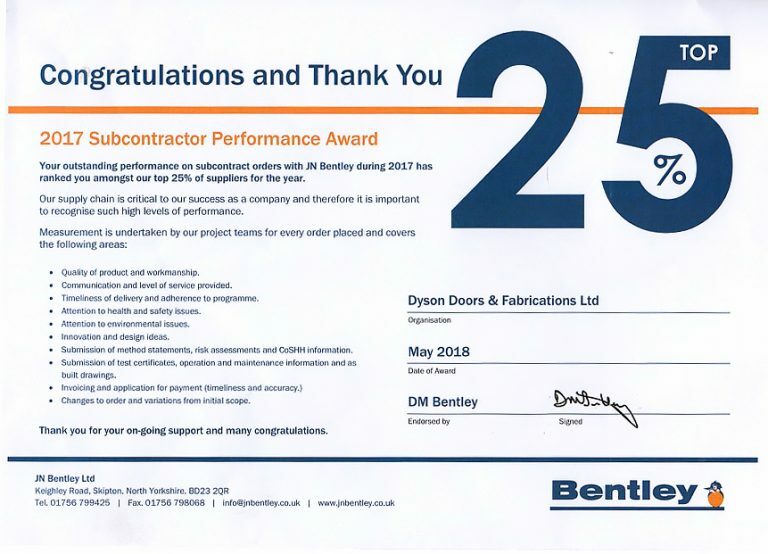 Testimonial: – NG Bailey have worked with Dyson Doors over a number of years. Dyson Doors have a wealth of knowledge and experience and when engaged on a project with us take time to fully understand our requirements and work with us to develop a solution. Their approach to business is honest, reliable and friendly. What They Do: JN Bentley Ltd is part of the global management, engineering and development consultancy Mott MacDonald, offering our clients full feasibility, design and construction services throughout the UK.